The CIS, CIEA and CDI will be tabling in the Student Union Building all week, except for Nov. 15 when they will be in Violette Hall. There will be candy, games, trivia and a photo booth on various days. World Cup is an international sporting event where students can learn and compete in sports from around the world. Prizes will be awarded to the winners in each bracket. Mr. and Ms. International is a cultural pageant meant to display the diverse cultures and talents represented on campus. 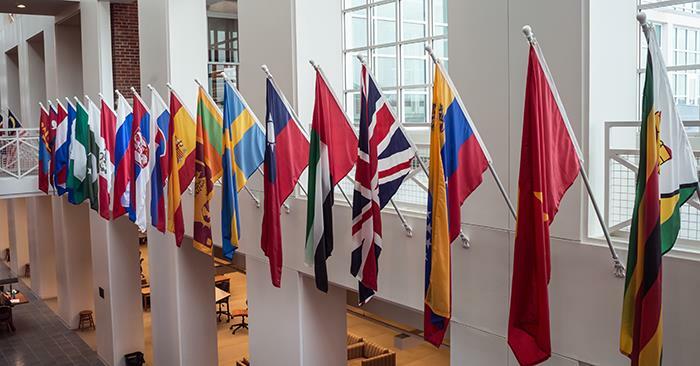 Countries from all over the globe will be represented by students on Truman’s campus. Each contestant will be judged by a panel and a winner will be announced at the end. International Spirit Day is a day to celebrate your international side. Wear clothes from your culture or simply a T-shirt. International Tea and Coffee will be the kick-off event for the week. Nicole Stelter, the international student advisor, will speak in addition to performances by TrueMen, the President’s Quartet and several talented international students. There will be teas and coffees from around the world available to taste. Tres Habaneros in Mainstreet Market will be converted into an international food stand for three days. It will feature South Asian and Mediterranean cuisine as well as a sausage day. Students will be able to use meal swipes or dining dollars. Yellow curry with beef, green curry with tofu, butter chicken, white rice, Aloo Tiki with curry sauce and naan bread will be served. Kabob sampler, vegan sausage kabob, sauerkraut, grilled onions, braised cabbage, spaetzli, herb buttered potatoes and spinach dinner rolls will be served. Beef gyro, lamb gyro, vegetarian falafel, red onions, tomatoes, lettuce, tzatziki sauce, spanakopita and lemon basil kalamata couscous will be served. Come out alone or with a team and be ready to have a ton of fun. Students can come learn and perform dances from various cultures around the world. This is a high-energy and very fun event that was well-loved last year. International students will tell folk stories from their cultures while the sky in the planetarium moves to show the sky above their hometown. This event will be entertaining and informative.